^ "Skype Preview evolves in the latest version of Windows 10". Skype blog. Microsoft. April 11, 2017. Retrieved 11 April 2017. ^ "Introducing new ways to express yourself on Skype". Skype blog. Microsoft. February 16, 2017. ^ Thurrott, Paul (February 16, 2017). "Microsoft Issues First Skype Preview Build on Android". Thurrott. ^ "Hello, desktops. Meet Skype Preview". Skype blog. August 17, 2017. ^ Joey Sneddon (August 31, 2017). "The Skype Redesign Everyone Hates Is Now Available on Linux". OMG! Ubuntu!. ^ writer, By David Goldman, CNNMoney.com staff. "EBay to unload big stake in Skype - Sep. 1, 2009". money.cnn.com. Retrieved 2018-01-15. ^ "Skype and PayPal team up with new Send Money feature | Skype Blog". Skype Blogs. 2017-08-02. Retrieved 2019-03-08. ^ Perez, Sarah. "Skype's Snapchat-inspired makeover puts the camera a swipe away, adds stories". TechCrunch. Retrieved 2017-10-30. ^ "Negative Skype Reviews". Forbes. Retrieved 2017-12-07. ^ "Skype Universal Windows Platform app Preview for Windows 10 is coming to Windows Insiders". Skype Blogs. March 24, 2016. ^ Dan Thorp-Lancaster (September 17, 2015). "Skype updated on Windows 10 Mobile and Windows Phone 8.1 with 'set default' option". Windows Central. ^ Sean Chan (August 12, 2016). "Skype will stop working on Windows Phone 8.1 (and older devices) in early 2017". MSPoweruser. ^ "Skype launches real-time captions and subtitles". TechCrunch. Retrieved 2018-12-04. ^ "Plan for IPv6 in Skype for Business". Microsoft. February 21, 2018. Retrieved 2018-06-13. ^ Greenwald, Glenn; MacAskill, Ewen (June 7, 2013). 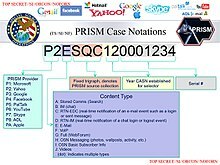 "NSA Prism program taps in to user data of Apple, Google and others". The Guardian. London. Retrieved December 14, 2018. ^ "Skype Now Hides Your Internet Address — Krebs on Security". krebsonsecurity.com. Retrieved October 15, 2018. ^ "Skype now offers end-to-end encrypted conversations". The Verge. Retrieved 2018-10-15.